Portuguese food can be very distinctive. While McDonald's and Burger King are making inroads, for now the Cuisine of Portugal will leave a lasting memory on the missionaries who serve in the Portugal Porto mission. 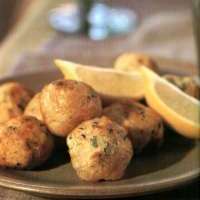 Some of the dishes like Bolinhos de Bacalhau and Caldo Verde as such a part of the culture that every missionary will have tasted them during his tenure in Portugal. What is lacking is a good recipe for the many types of breads that can be found in the padaria (Bakery) on the corner. However, the Tripas a Moda do Porto is a different story. Each region and often each city will have its own distinctive soup, main course, bread, sausage, and dessert. The Tripas a Modo do Porto is one such dish. As much as the people of Porto love this dish, most missionaries tend to shy aware from this one. The links below will take you to recipes for these very Portuguese dishes. The source of these recipes and the wonderful photos is Savoring Spain & Portugal by Joyce Goldstein. This is a Time Life Book. Since Spain is a much large than Portugal, most of the recipes are from Spain. However, there are many recipes from Portugal and some rich cultural notes as well.